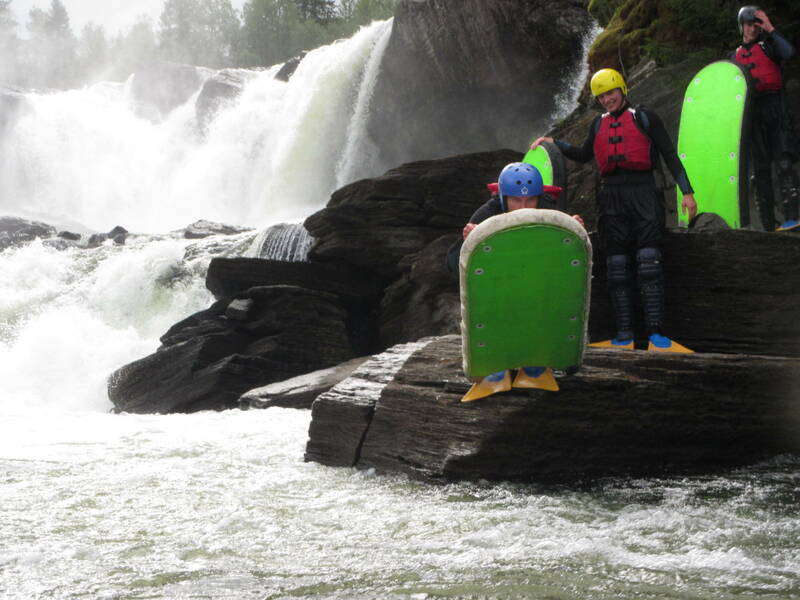 Riverboard in Sweden. 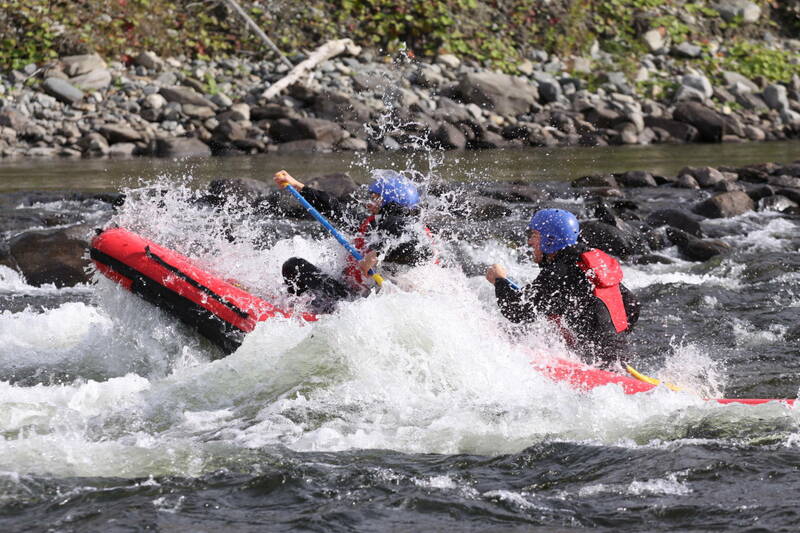 This is the most action-packed activity we have. 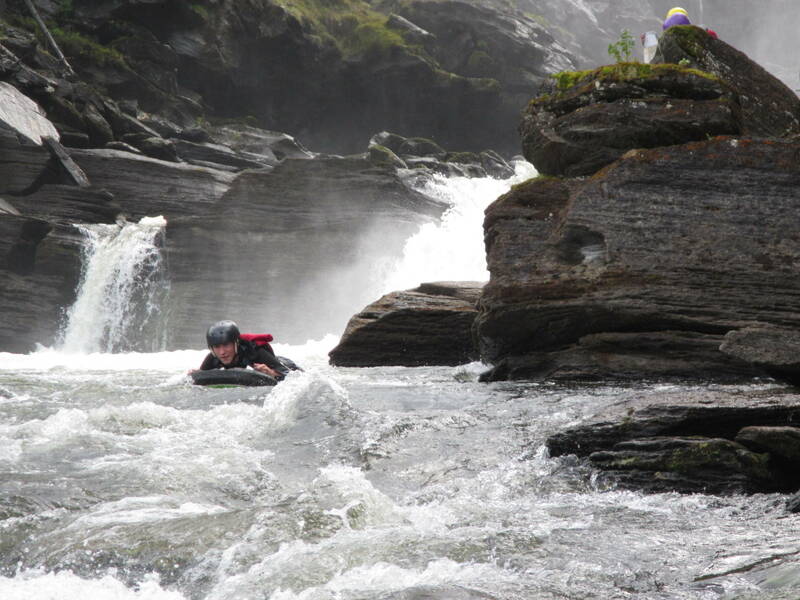 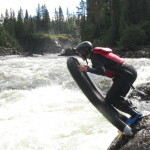 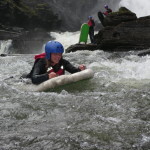 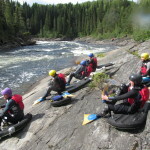 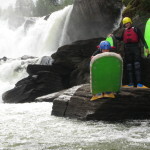 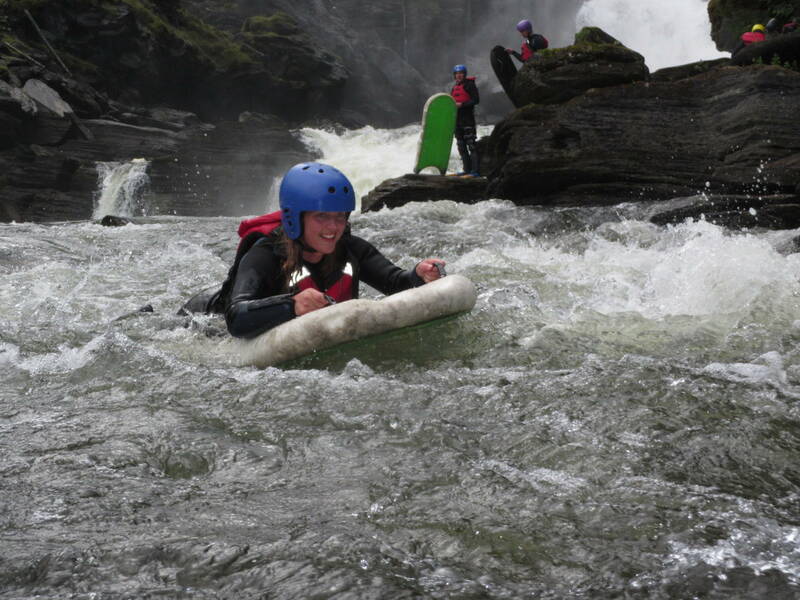 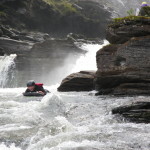 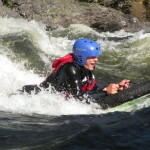 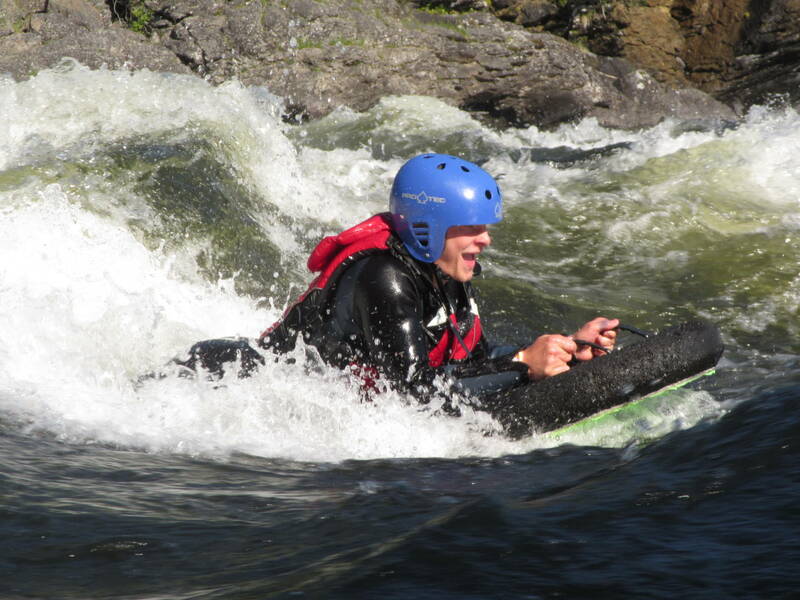 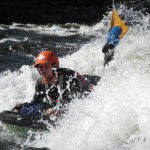 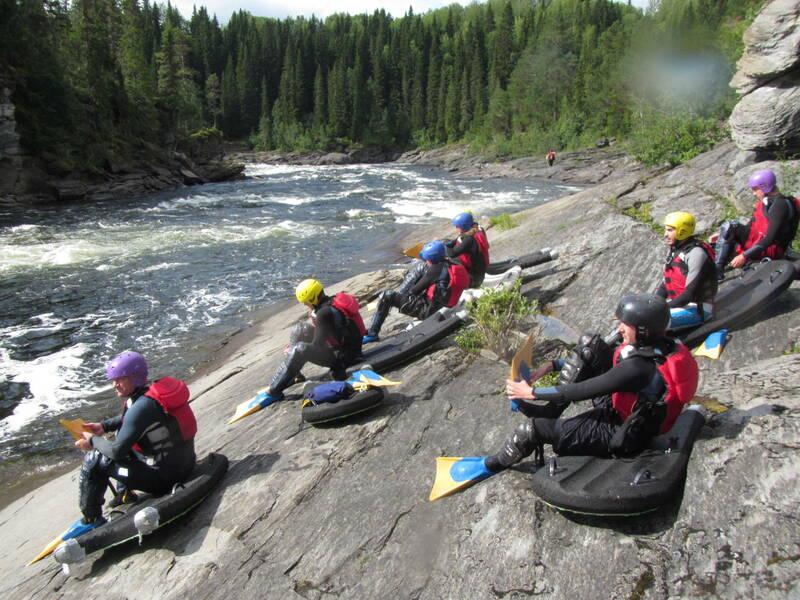 We was one of the first company in Sweden to do Riverboarding. 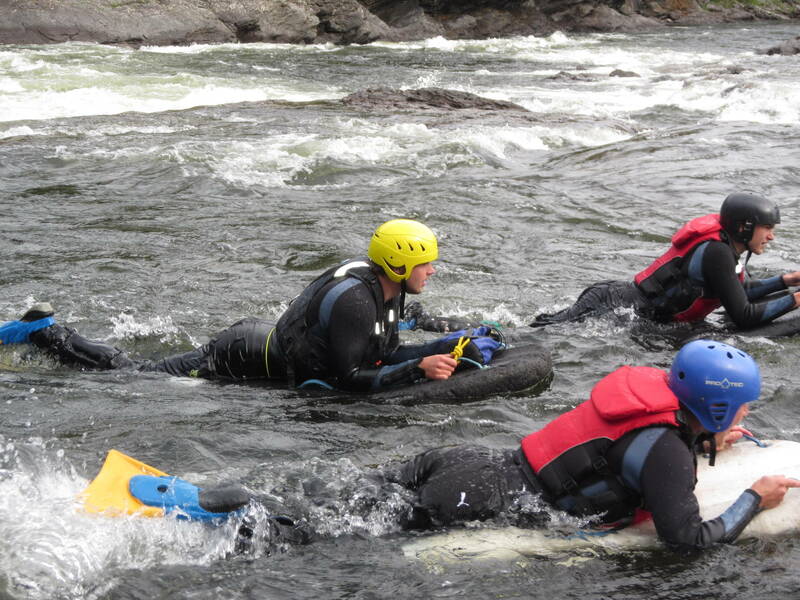 We warm up with a few little easier swims below the fall and then get serious. 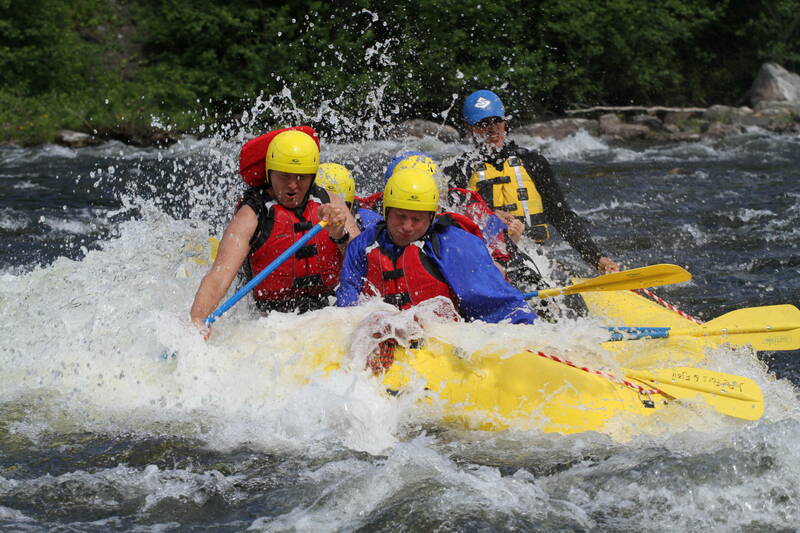 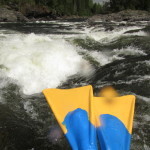 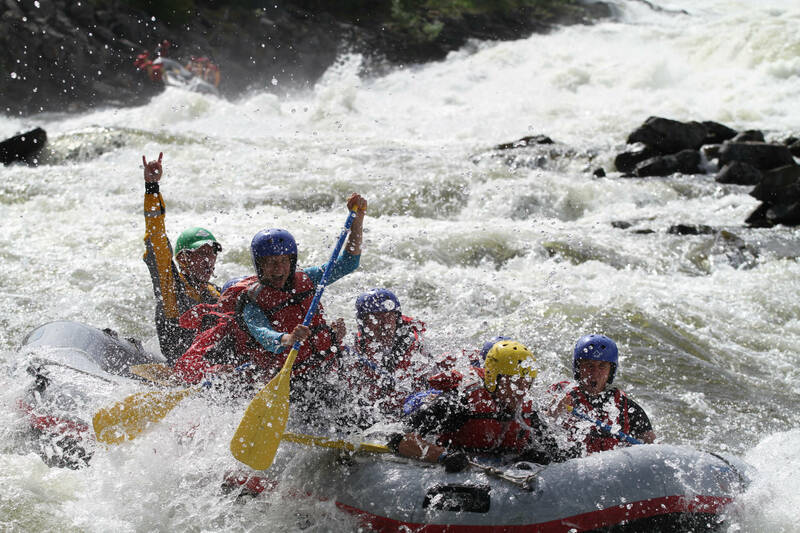 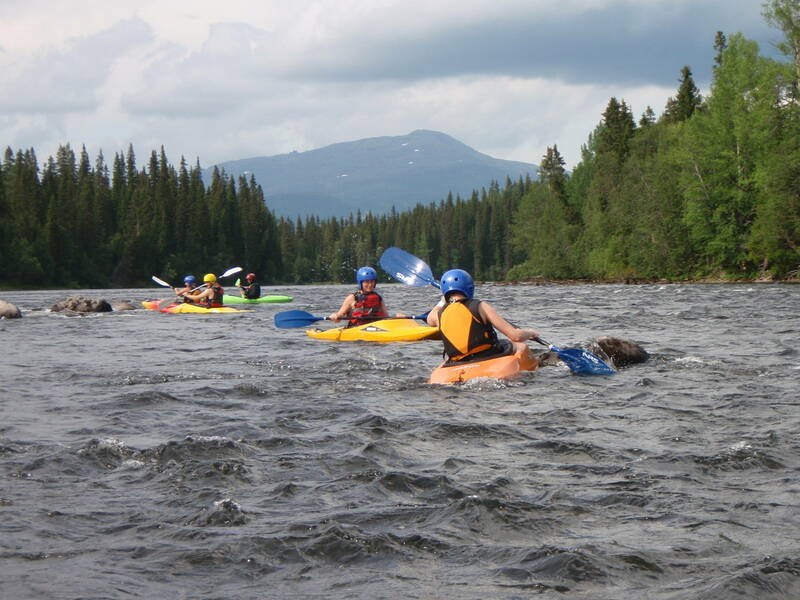 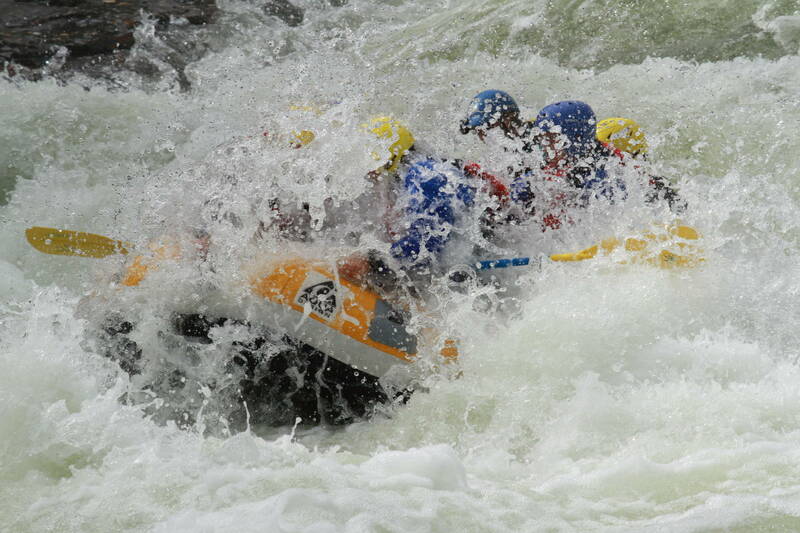 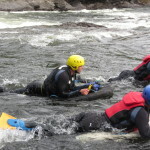 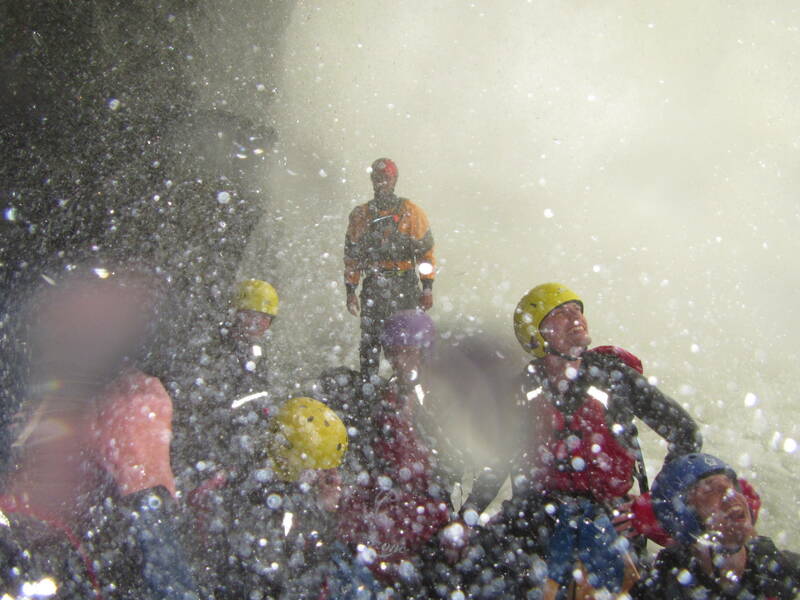 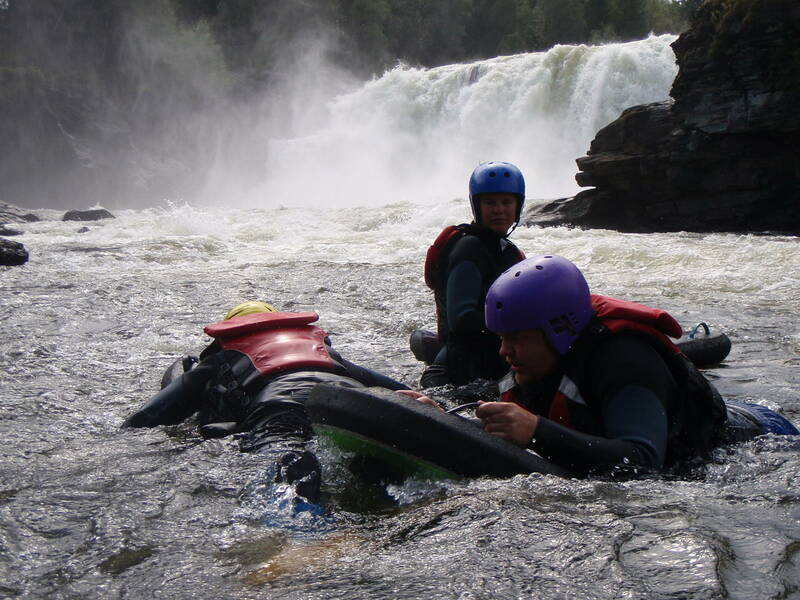 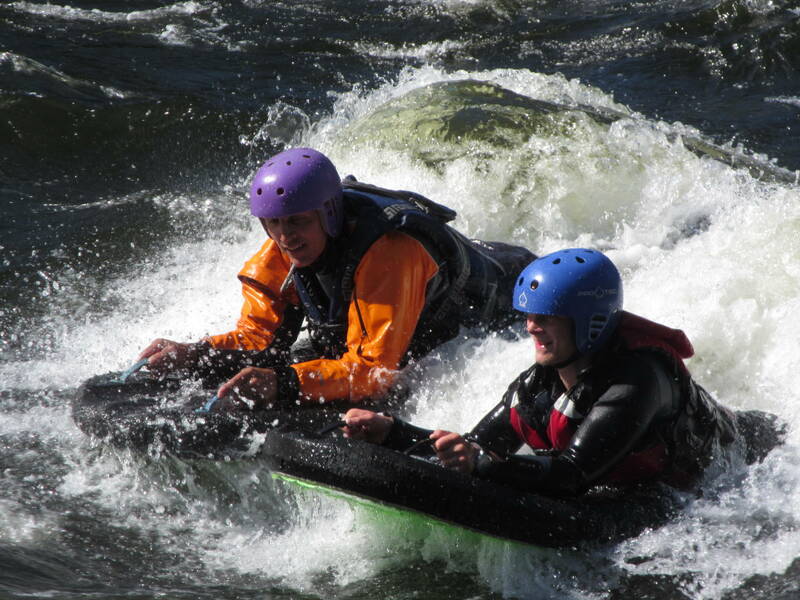 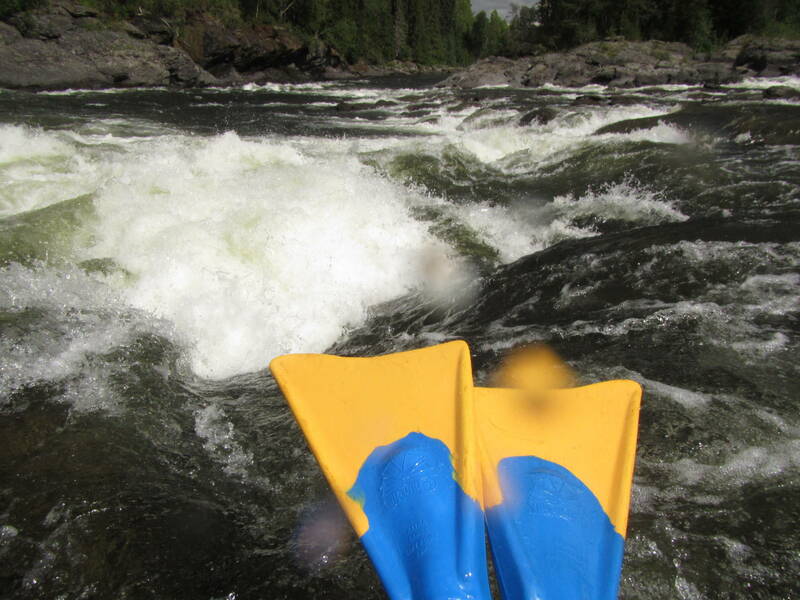 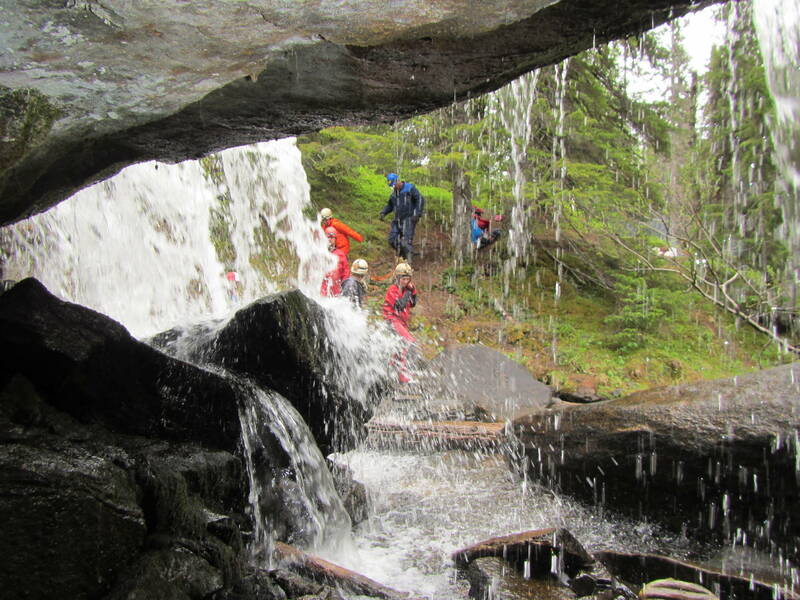 We get in to the whitewater and really get to know the forces in the rapids. 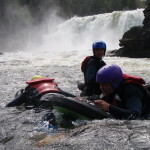 We swim on both sides of the island that divides the waterfall, surfing, jumping from cliffs and walk behind one or two waterfalls. 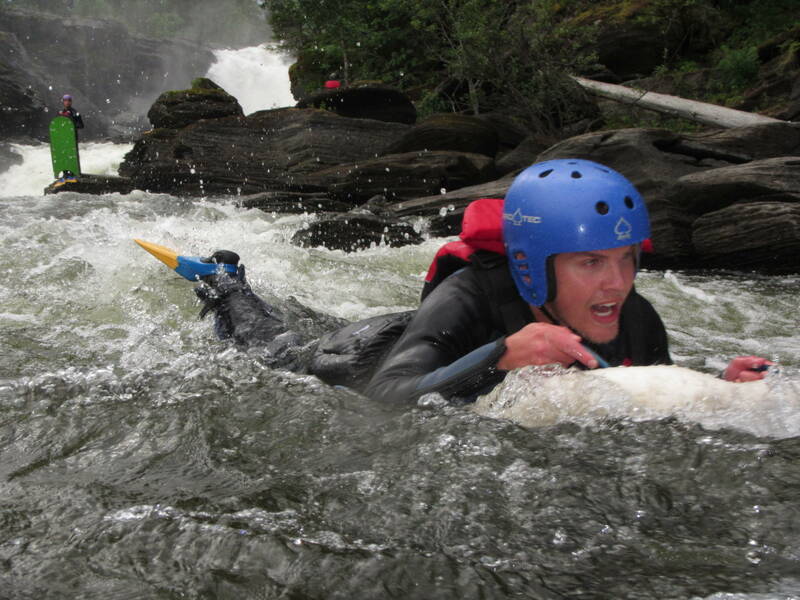 This is not for those who are afraid of water or are completely untrained. 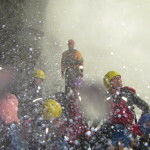 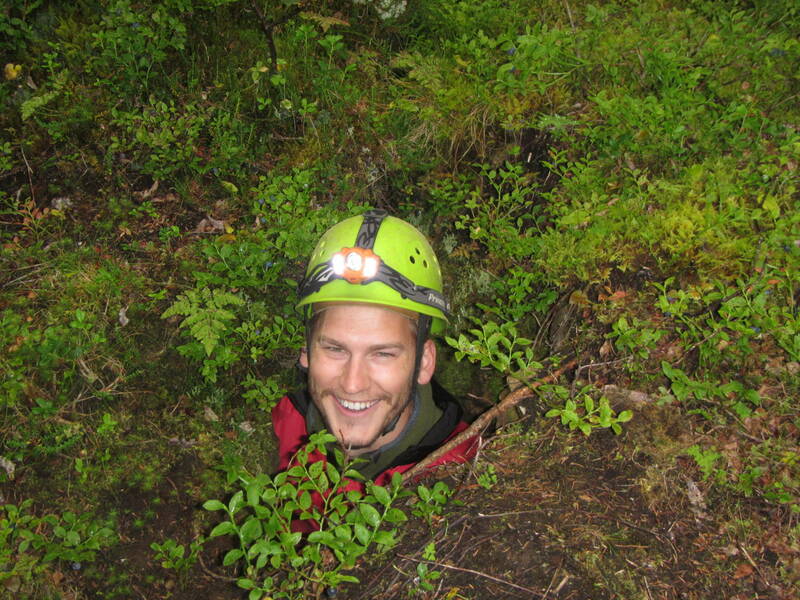 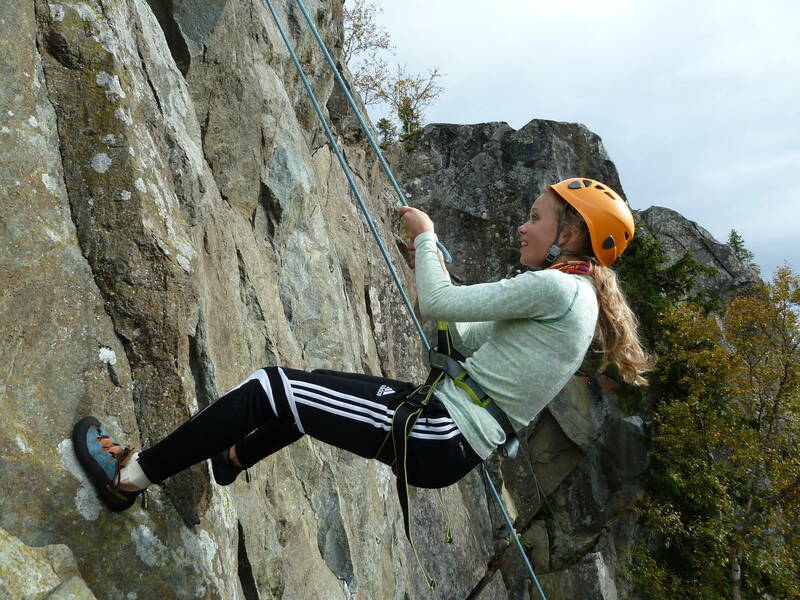 The activity is physically demanding. 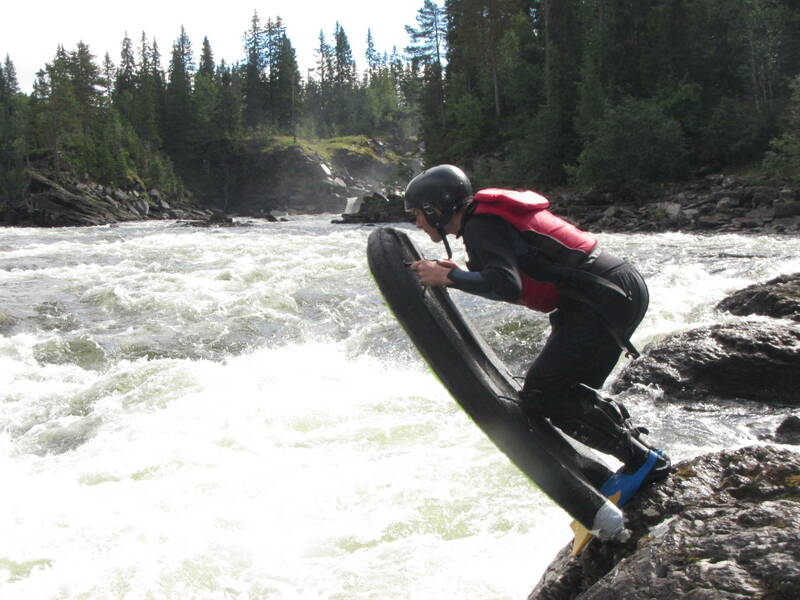 Price 1100 SEK/person. 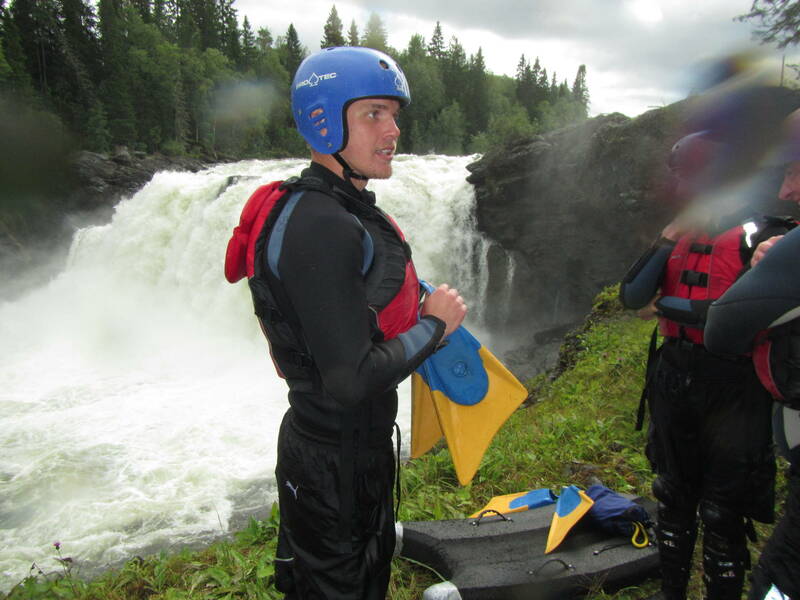 At least three people are required to pay or 3000 SEK. 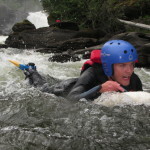 Includes wet shoes, life jacket, helmet, knee pads, fins, board and lunch. 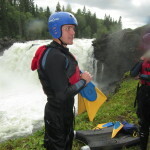 Meet point 10.00 at Hyrskidan in Undersåker or at agreed place. 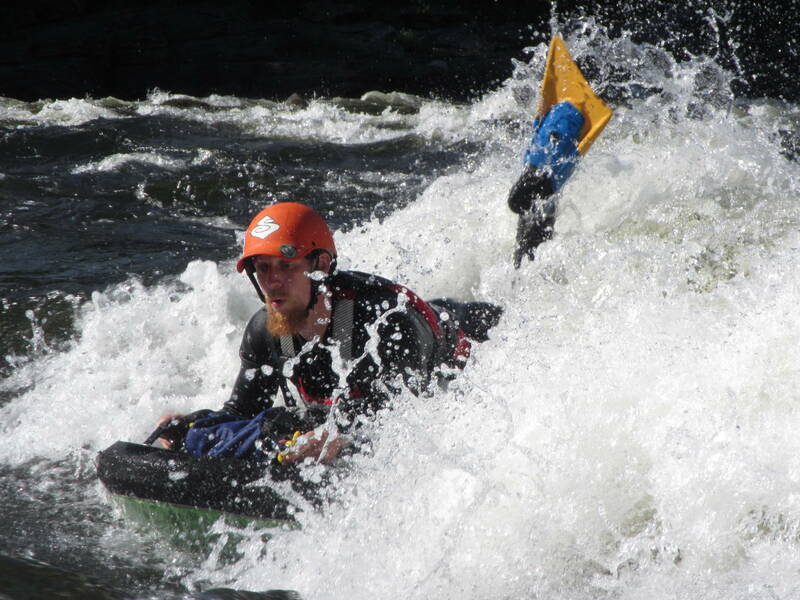 Total time around 4 hours. 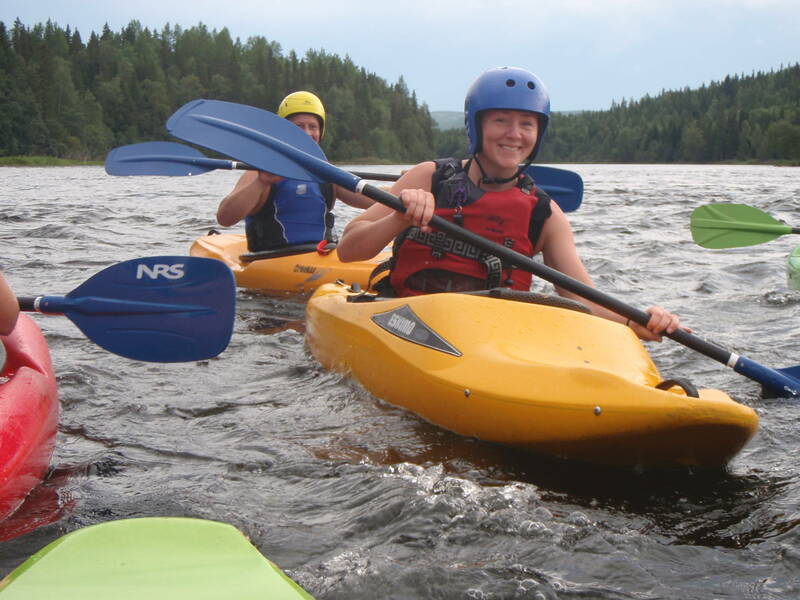 Minimum age 16 years. 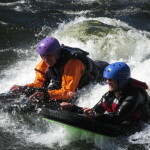 Riverboard at Rista with JoPe.